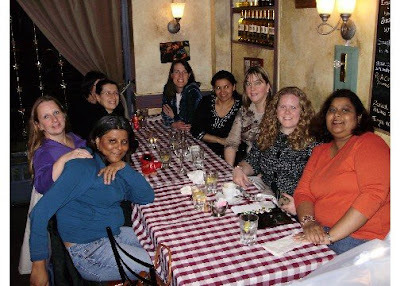 Last night a few of my wonderful girlfriends and I went to "The Big Ragu" for dinner to celebrate my 20th anniversary of moving to Toronto. The food, as always, was delicious, and the company even better. It's strange for me to think that I wouldn't know any of those girls sitting at the table with me if I hadn't of moved here. I tell people all the time what I wonderful circle of girlfriends I have and having them is one of the best things about living here. Here's a link to my friend Teena's post about last night as well.